Nikolay Muravlyannikov is a program manager for Lync. Barak Manor is a product manager for Lync. The Lync team is serious about our vision of universal communication (UC). To get to the next phase, we not only need to provide an amazing UC solution, we must also deliver it on the platforms our customers care about (Windows, Windows Phone, Mac, iOS, and Android). 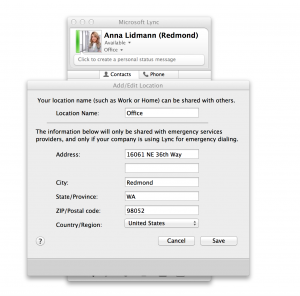 Today we’re announcing an update that improves the productivity, quality, and reliability of Lync for Mac. As part of this new release, our team brings the fruits of 12 months’ work on the Enhanced 911 (E911) functionality with location awareness feature. This highly requested feature is the focus of the current release. In addition to this new feature, we have continued to work on improving the Lync for Mac user experience, including dynamic selection of a video camera while in a meeting and better file/picture transfer in IM and desktop sharing. 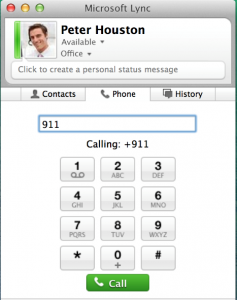 The E911 feature is one of the biggest steps toward a full communication system based solely on Lync. It takes advantage of all the capabilities provided in the rich client and the server, including provisioning, administration, and whether you’re using E911 through Emergency Location Identification Number (ELIN) Gateway or through an E911 service provider. 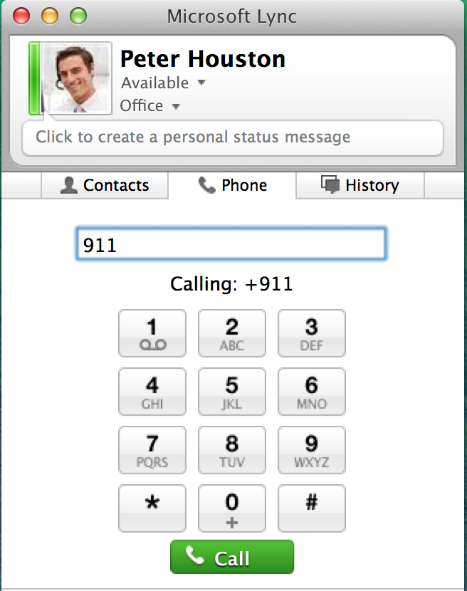 With E911, you can customize your location and enable a more precise emergency response location (ERL), in addition to sharing your location with other users. You can find out more about Lync E911 here. With this update to Lync for Mac, you can now dynamically choose the video camera you want to use during a Lync Meeting—without the need to end the meeting. Lync for Mac recognizes when you have a plug-in camera connected to your device, and it automatically streams the video from the plug-in camera instead of the built-in one. You can reset your default camera anytime you’d like. Also in this release, are significant performance improvements for file/picture transferring through the IM tab and Desktop Sharing. The investments in these features were a direct result of customers’ feedback and reviews, so please keep using the product and let us know how we can make your universal communication easier and more productive. 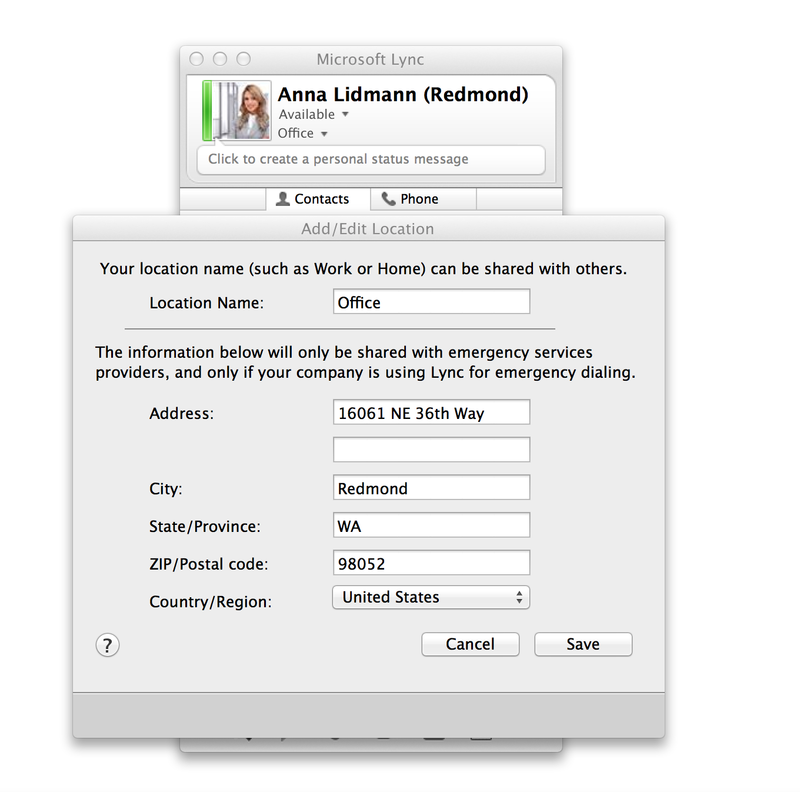 Get more details about the Lync for Mac 14.0.9 release and download the new update here. Thank you for communicating on Lync.